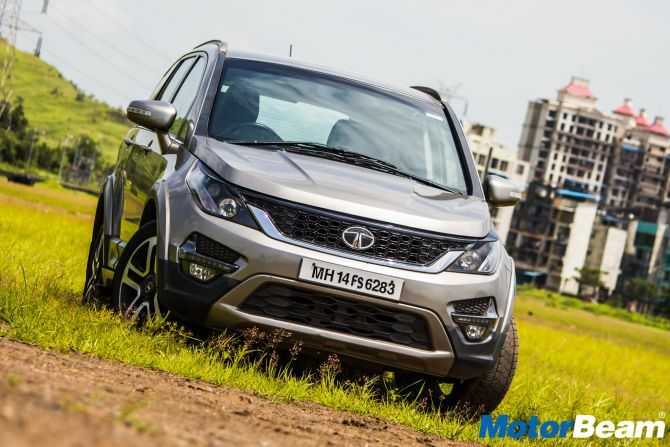 The Tata Hexa was launched in India in 2016 and this vehicle has been fairly successful when it comes to sales because for its price, it does offer a good package and comes with almost everything that a buyer in this segment looks out for. 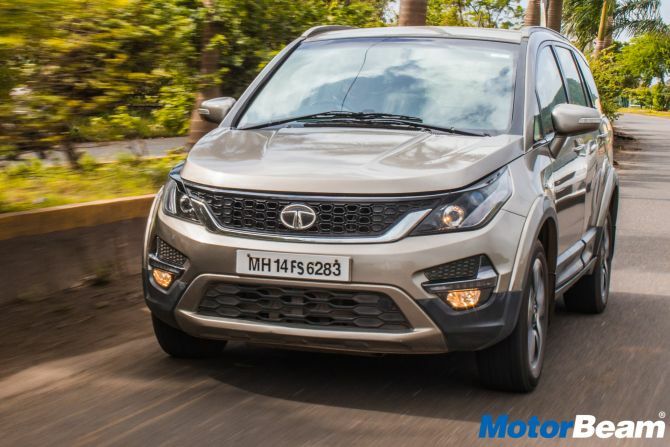 We got the Tata Hexa XMA for a long-term test and after driving this car on a daily basis, we have plenty of things to tell, andt mostly good things! First, the styling of the car is quite good. Yes it does bear some resemblance to the older Tata Aria but still it has very good road presence and gets a well-rounded design with proportionate dimensions. The Hexa is quite big and hence parking it in tight spots feels a bit cumbersome but honestly it is just a matter of getting used to. The cabin is well-appointed with good quality materials used almost everywhere. The dashboard has a simple design but the touchscreen feels too small here. The steering is good to hold, the instrument cluster is easy to read and most other controls fall in easy reach of the hand. Storage spaces in the cabin are limited though. At the front, you barely get any additional space to keep things like your mobile phone and wallet. We have a few gripes too, firstly the parking sensors on our test car stopped working and we make use of only the rear camera while parking which is quite an annoyance especially for such a long car. One of the rear windows also started malfunctioning and sometimes it just wouldn't open. Apart from this, the AC vents seem to have poor quality materials used because at least 3 vents on our car are kind of broken now. Besides, this car has been ageing well and our car which has done 40,000 kms now is testimony to the fact. The AC cools brilliantly even at blower speed 1 and all the seats offer terrific comfort. 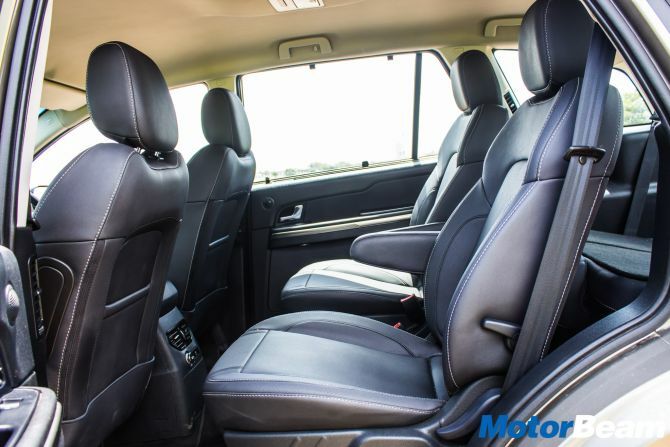 Our car has captain seats in the middle row and the windows also come with sunshades, making the Hexa a very good choice for those who like to be chauffeur driven. 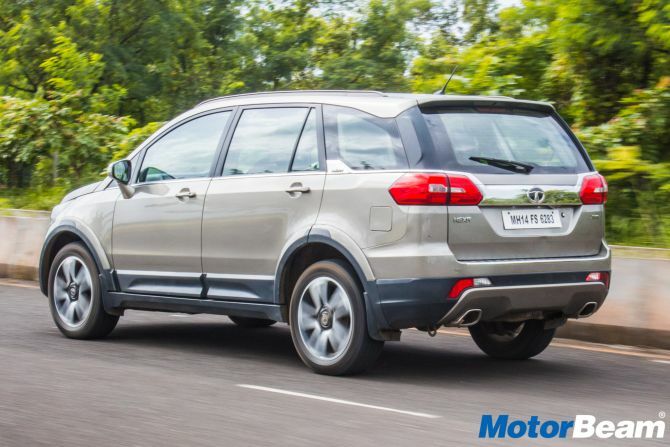 Powering the Tata Hexa is the same 2.2-litre Varicor 400 diesel engine that also powers the Safari Storme. This engine offers nice performance, there is a strong surge of torque right from lower down with a strong pull in the mid-range. For city driving as well as highway cruising, this engine really serves its purpose. The Hexa is quite heavy though and this engine coupled with the 6-speed automatic gearbox results in a fuel efficiency of 9-10 km/l. Talking about the gearbox, the 6-speed unit has been matched nicely to the engine and offers smooth shifts. There are no paddle shifters on offer but you do get an S mode as well as a manual mode. 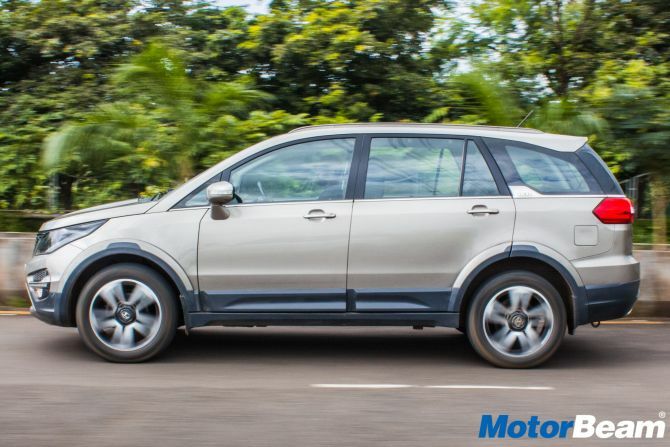 The Hexa AT is in fact much better to drive than its manual counterpart. On our test car, the vibrations at idle seem to be a bit higher than usual. 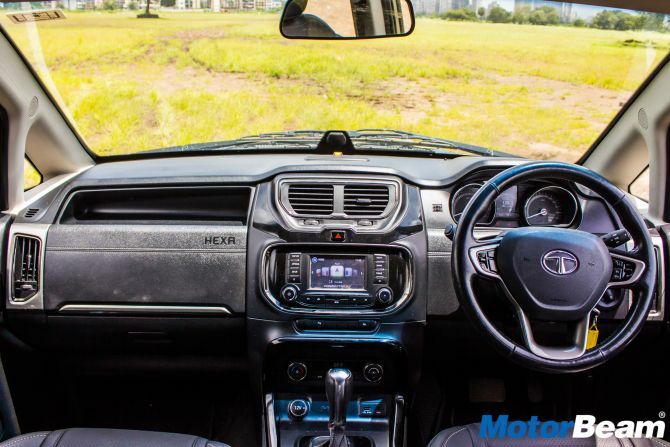 The steering on the Hexa offers decent feel but it is the ride quality where this people's carrier truly shines. The suspension has been set up brilliantly in true Tata style and it gobbles up all types of potholes and craters with ease. This suspension can also take up a lot of abuse and this makes the Hexa feel very durable and tough. On the braking front, the car has been faring well. 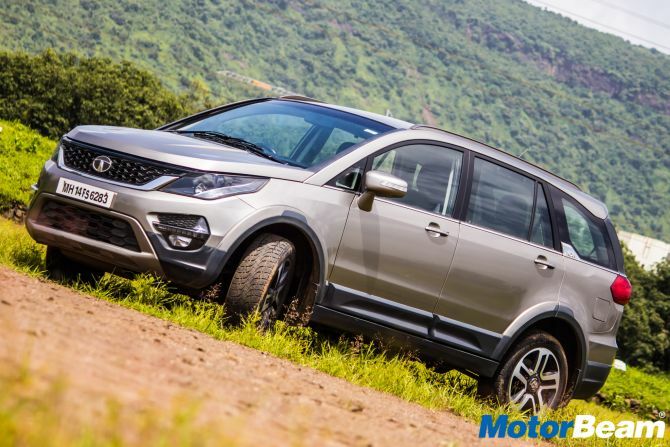 We feel Tata Motors have done a really good job in developing the Hexa and it is honestly a good car that drives fairly well but most importantly offers excellent comfort to its passengers. It does have a few negatives though, such as it misses out on features like Apple CarPlay and Android Auto, keyless go with push button start, sunroof, etc. 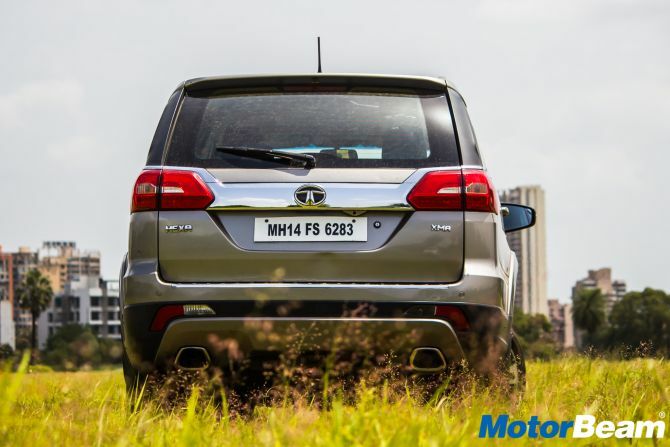 but these are likely to be added by Tata in the next update that the Hexa gets.